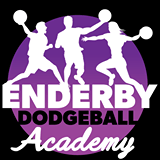 Enderby Dodgeball Club has passed another milestone in its exciting mission to establish the Enderby club as a major hub on the national dodgeball map. This means the Club has been able to attain Academy status and develop dodgeball talent across ages 5yrs to 40yrs+. The cost to join in is a snip at just £2 per player! 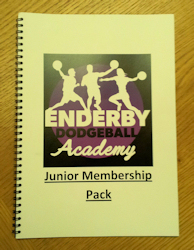 Enderby Dodgeball Club formed in January 2009 and the Academy status is a personal ‘dream come true’ for the club’s Chairman and driving force, 30yr old Simon Moody. 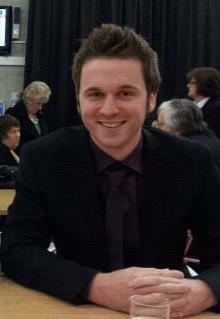 Together with the club’s Head of Youth Development, Liam O’Sheehan, Simon will oversee the new junior sessions. The Junior Club sessions have been arranged in two parts on each Saturday with the first hour being for members 5-10 yrs of age (1.30pm – 2.30pm) and the second hour for those 11-14 yrs of age (2.30pm-3.30pm). Chairman and Head Coach Simon Moody: Academy is ‘a personal dream come true’. In June 2011 the club’s girls team, the ‘Leicester Ligresses’ finished up 3rd in the UK National Championships (see the EYE archived news item here). Later that same year they won the award ‘Blaby Sports Team of the Year’. Since then all sections of the club have distinguished themselves in the sport and the club has staged its own championship event. In May 2012 the club received a guest from the Japanese Dodgeball League and in July 2012 an American NDL player attended the Club. Dodgeball is officially recognised as a sport in the UK by Sport England. The National Governing Body for Dodgeball in the UK is the United Kingdom Dodgeball Association (UKDBA). In UK Dodgeball Rules the main objective is to eliminate the opposing team by hitting them with thrown balls or catching a ball thrown by the opposing team. In the UK Version there are only 3 balls in a game and each team has 6 players. Dodgeball is a great sport to keep fit, meet new friends, and is a sport that involves both team and individual work.